Experience everything Patagonia has to offer with this 3 week itinerary: the majestic Torres del Paine and Los Glaciares National parks, the Lake District and Tierra del Fuego. By day, take in the stunning scenery through boat trips and moderate walks, suitable for a range of experience and fitness levels. At night, rest your legs in the comfort of lodges hidden deep in the National Parks. On arrival in Trelew, meet your group before joining your transfer to your hotel in Puerto Madryn. 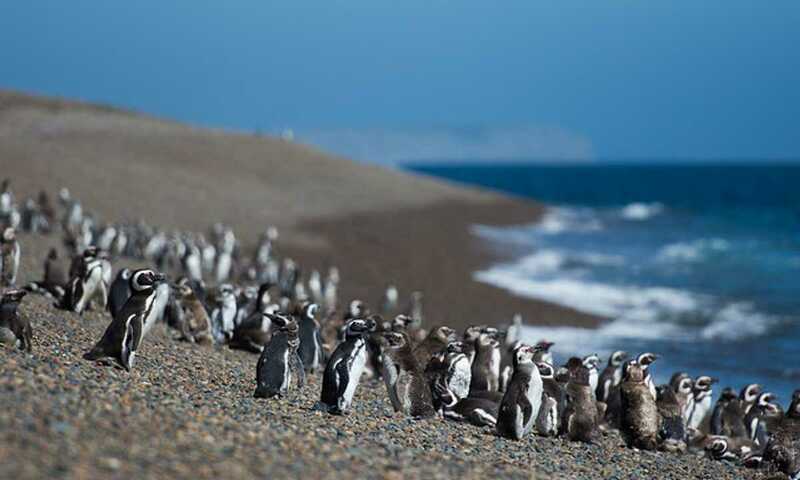 You will break up the journey with a stop at the Punta Tombo Reserve, the largest Magellan penguin colony on the continent, to walk amongst the nests of over 500,000 Magellan penguins. Although by far the most curious, these are not the only sea birds building their nests here. 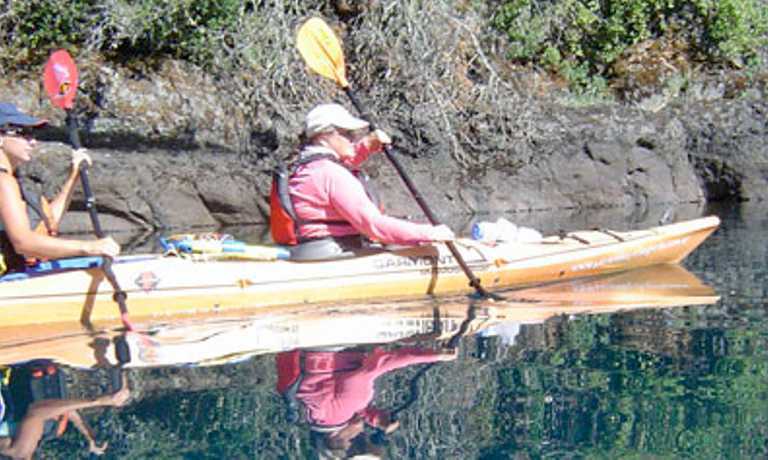 You may spot petrels, skuas, vapor ducks, chorlos or cormorants. Dolphins also occasionally approach the bay here searching for fish. Later continue on to Puerto Madryn, and take some time this evening to explore this beachside town. Spend a full day visiting the Valdez Peninsula a paradise of flora and fauna. You depart from Puerto Madryn and head towards Puerto Pirámide, passing through the Carlos Ameghino Isthmus where you can see both the New and San José gulfs simultaneously. After a brief tour of Puerto Pirámides you continue towards Caleta Valdés, a strange geological formation that runs parallel to the coast. This area is unique not only for its geography but also for its wildlife: look out for 3000kg elephant seals lying on the beach, enjoying breaks between 1000m dives. Later you will stop at Punta Delgada Lighthouse, and the Salinas Grande y Chica (Grand and Small salt pits). Here you will learn about how the salt is extracted from the pits, and may also catch a glimpse of maras (Patagonian hare), guanacos, foxes and skunks. Fly from Trelew to the end of the world - Ushuaia. On arrival, you’ll be transferred to your hotel where you’ll be based for the next few nights. At 55 degrees south of the equator, is the most southerly town on Earth. Its steep streets overlook the green water of the Beagle Channel, named for the ship in which Darwin sailed in 1832. Explore this fascinating town and its abundant penguin paraphernalia this afternoon. This morning cruise along the famous Beagle Channel visiting the Isla de pajaros - a haven for many southern ocean and coastal birds. You'll also have the chance to see colonies of Southern sea lions. In the afternoon, visit the famous Harberton Estancia, the oldest estancia in Tierra del Fuego, beautifully set on a rise above the channel. This living museum is a rare opportunity to experience life in a classic southern style ranch. Today, explore Tierra del Fuego's numerous hiking routes on a half day trek through the hills and beech forests of the National Park. Enjoy a picnic lunch with your group before heading back to Ushuaia in time to enjoy a free afternoon, perhaps to visit the excellent Museo Territorial Fin del Mundo. Transfer to the airport for your flight to El Calafate, where you will arrive and settle into your accommodation. This township, founded in 1927, is best known as the ‘national capital of the glaciers’ and is the gateway to the Los Glaciares National Park including the famous Perito Moreno Glacier. The afternoon is at leisure to explore the town or walk down to Lake Argentino to watch the waterbirds. Head to the edge of the icecap, for a full day tour of the impressive Perito Moreno Glacier. You will spend several hours wandering the many paths that offer different vantage points of this calving glacier. The glacier is 4 km wide and 70 m high and descends to the surface of the lake, almost cutting the lake in two. Look out for the crash of the calving icebergs, where massive pieces of ice break off and fall into the lake, creating huge waves in the process. The groans and creaks of the active glacier precede dramatic falls of ice from its face. We return late afternoon to our hotel in Calafate. Depart Calafate for the drive across Patagonia and the arid Argentine pampas to El Chalten. The village of El Chalten is in the heart of Los Glaciares National Park and is the base for numerous of the park's most famous trekking routes. Take the afternoon at leisure to explore your surroundings before joining your group for dinner in the evening. 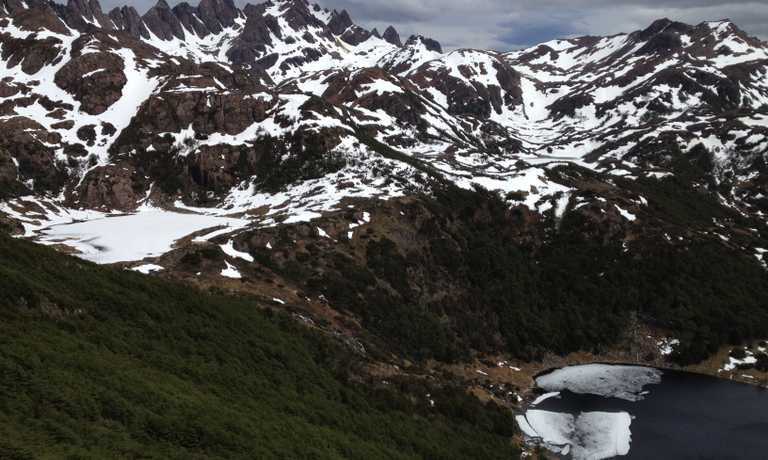 The next two days include day walks to the lagoons at the base of Mount Fitzroy and Cerro Torre, both part of the range of bizarre peaks and needle-like pinnacles that make up this famous mountain range. These days are truly a highlight of the itinerary - with views of the great chain of glaciers that follow the line of the Chile/Argentina border, and of beautiful valleys with crystal clear streams, home to a multitude of bird life. Being there in summer, you'll see the park at its best, with the beech trees and Patagonian flowers in bloom. Today we leave El Chalten and drive across the pampas to Puerto Natales. Set on the shores of Seno Última Esperanza, this city is the gateway to the famous Torres del Paine National Park. The afternoon is at leisure, you may wish to sample king crab by the waters edge in one of the seafood restaurants. Journey into Torres del Paine National Park by boat - a privilege that offers unmatched views of the stunning scenery. Few have the opportunity to catch their first glimpses of the park this way, as your boat travels down the fjord, pausing at the Balmaceda Glacier. As you get closer to the park you will change onto zodiacs for the final cruise along the Serrano River, before arriving at your lodge where you will be based for the following days. Over the next few days you will explore the highlights of Torres del Paine National Park. The trekking level will depend on the group’s level of fitness, however many of the highlights of this park, including the base of the towers, require a 6-7 hour walk (round trip). There are other walks we can choose which are easier and provide excellent views of the park, but in general, the fitter you are for these few days, the more enjoyable it will be! Those who do embark on the walking trails will be rewarded with awe-inspiring scenery - blue glacial and iceberg strewn lakes meet dramatic granite peaks and snow covered mountains, not to mention the views of the Patagonian ice-cap. No wonder it's often called one of the world's most beautiful National Parks. Transfer from Torres del Paine to Punta Arenas airport, where you will catch your flight to Puerto Montt. Today's destination is Petrohue, located on the shores of Todos los Santos, a deep crystaline emerald lake with the stunning backdrop of snowcapped Volcano Osorno. Enjoy an evening meal with your group tonight. Rest your legs today on your full day boat journey from Petrohue in Chile to the shores of Bariloche in Argentina. During the navigation you'll enjoy the magnificent view of the volcanoes Osorno, Puntiagudo and Tronador. Disembark in Peulla for a short drive before embarking on a second boat to cross Lake Nahuel Huapi, arriving at Bariloche on the other side. This delightful Swiss style town is famous for its chocolate and its stunning views over Lake Nahuel Huapi - take the evening to explore its streets and take in the scenery. Drive to Mount Tronador and the start of a stunning walking trail through forests, rocky terrain and across streams. You'll have views of the impressive Mount Tronador and its glaciers with numerous waterfalls. This area is of outstanding beauty – often compared to the European Alps. Return in the late afternoon to Bariloche in time to wander the streets of this charming town, and perhaps to sample some of its famous chocolate. After breakfast there will be a group transfer to the airport for your flight to Buenos Aires where your trip concludes. Departures can be set up for a minimum of two people from October to March. Please get in touch for information on departures.